WordPress vs Wix vs Weebly Which is the good/better for bloggers & website ? The most commonly used website platforms in the market today are WordPress, Wix, and Weebly. If one of the website platforms is selected for you, the following analysis is available for everyone to judge. If you want to use WordPress to build a website, the most basic one is to rent a web hosting space first. If the fee is about $5-$10, you can have a very good web hosting space, but the website traffic is naturally better and more advanced. device of. URL must also be purchased by oneself, but we also have services that help people to provide services. In addition, there are no other fees. There are many plugins that support SEO. They are also very complete in terms of setting. The effect is the best for all platforms. biggest advantage of the website WordPress is that it has tens of thousands of free themes. If the free templates can't satisfy you, you can also purchase some foreign paid versions, or find a dedicated WordPress design company to help design the version. WordPress has a lot of plug-ins to meet all the needs of users. This is also a fascinating place for WordPress. Whether it is to set up shopping carts, fill out forms, or create any functions, almost all of them can be found in the official free plug-in; if needed Function can not find a satisfactory plug-in, you can also ask a professional web design company to help develop. Whether the front-end or back-end can be found in different language versions, it is also possible to add a multi-language version to the website. you find a new web hosting site, you can move the site at any time. No matter SEO, Internet search, or web address (as long as it is your own purchase), you can follow it at any time. After the move, users will not find you. Or the searched URL is an issue where the old URL cannot be linked to the new URL. It is the most suitable website platform for your own brand. and Weebly are very similar to the platform, primary use is completely free of charge, unless in the future to add other services only need to pay an additional fee, but most of the services are to be charged separately, before use, it is recommended to look at clearly paid items, so as not to upload the data is completed Only to find that the cost is too expensive to move. At that time, it was difficult to move, and the website did not come back. website can use the official name provided free of charge, but there will be no SEO; you can purchase the website yourself, and you have to pay the official fee to bind the website. Although the official name is SEO, the effect is limited and the setting is very simple. arts WIX system can provide a web page template has been selected, the number can not be more than WordPress template, and can only modify the basic CSS file, more limited. Almost all functions rely on official development. If the official does not provide it, then look at whether or not to move. Backstage does not currently support the Chinese interface, and there are fewer problem solving solutions for Chinese on the Internet. website relocation Even if the website is bought by oneself, no matter if it is SEO or Internet search, it will almost return to zero, and after the move, the users will not be able to find or search for a website where the old website cannot be linked to the new website. and Wix are very similar platforms, primary use is completely free of charge, unless in the future to add other services only need to pay an additional fee, but most of the service is to be charged separately, it is recommended to look at the payment before use to avoid payment of information is uploaded Only to find that the cost is too expensive to move. At that time, it was difficult to move, and the website did not come back. Weebly system can provide a web page template has been selected, the number can not be more than the number of WordPress templates, and can only modify the basic CSS file, more limited. website is bought by you. After you move, no matter if it is SEO or Internet search, it will almost always be zero. After the move, the user will not be able to find or search for a website where the old URL cannot be linked to the new website. If you have your online store and want to attract more and more customers, then you should read this post very carefully. 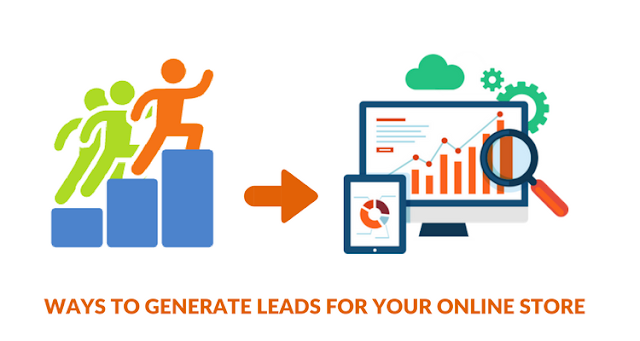 In order to keep a business afloat, the generating leads are essential. Lead generation plays a vital role in the sales process. Well, there are several ways to generate leads for your online store. In this post, you will get to know about some incredible ways to generate leads for your online store. There are some effective ways that can get you quick publicity, and fast customers in very small amount invested. You might have a fantastic website, but it is of no use until and unless it pops up on the search engines. According to the study, around 78% of the total clicks are from the top three links in the search results. This basically is emphasizing the keywords for which your product is known. This will help you drive attention towards your website and in turn gets high leads and inbound sales. Google search console, HitTail, SEO book are some of the best SEO tips for the starting. The Landing page is the page on which the client 'lands' after clicking on your link. You need to make it effective and engaging by providing forms and offers on your product. This is the first impression and the sight of your leads. This also needs to be understood that you need to protect your landing page from outside campaigns. Having outside campaigns will improve their SEO ranking and you need to increase yours. Webinars are e- seminars wherein the company gets live with its customers talking about any relevant topic to their products. This is an amazing opportunity to generate leads as you will be live at your customer base and can talk in person. It is a proven fact that talking to person is always more effective. This is a very old technique to let people know about you. Writing a blog is not that of an easy task, but it gets you a lot of attention. You can get high quality content, either get it from another writer or you can write on your own. After completion of the blogs you can ask other websites to publish your blogs. This will not cost you much but will give you a lot of benefits. Publicity is the first, you can provide a link in your blog that leads to your site. This will also give you an opportunity to share your thoughts with the client. Online directories are not that big in hearing, but are, actually, very useful. Many businesses make their leads just because they are listed in the online directories like G2Crowd, Capterra, Get app, etc. People are coming to the internet for every small and big thing. News is one thing that almost every one of your lead is surely interested in. The news, forums might be of great help to you in generating new leads. The more you get into the eyes of people that matter the hold a chance to win them as clients. Mouth publicity is the best publicity because people trust the people telling them about your business. Your old customers can refer you can refer you as good service providers and this will make you even better leads. So, you need to also take care of your old clients and not only focus on new clients. Lead generation is not an easy task, but for your own company to grow you need to make new clients. The steps stated above are just the starting steps; you also need to think something out of the box. Last few decades saw less innovation in this area. You need to stand out of the crowd to be recognized as different from others. You as the owner need to invest in the marketing department because once your marketing goes strong you are surely going to ride the horse of prospering in no time. Maggie Sawyer is a creative magento developer at MarkupHQ Ltd., a leading psd to magento conversion company with vast experience in web development & design. She provides magento theme conversion services with 100% client satisfaction guarantee. Figuring out how to communicate with your audience in WordPress may appear to be inconsequential, yet it can do a considerable measure for your website and your business in various ways. It can give you understanding into what your audience is considering, feeling and battling with, and it can enable you to set up a feeling of assume that will make it less demanding for you to execute changes and new items/services in your business without causing a colossal uproar. 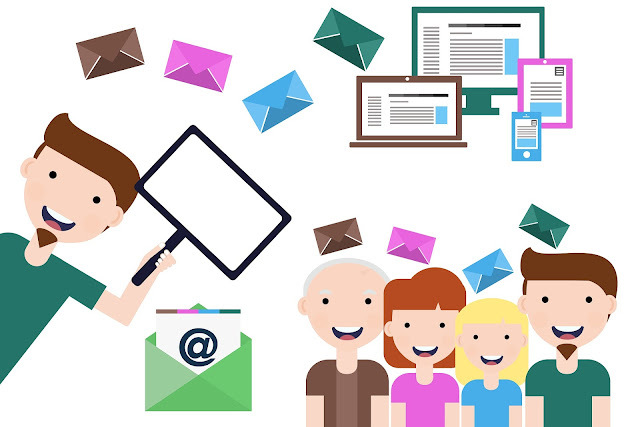 Email marketing is a standout amongst the most popular approaches to up your content marketing amusement and in the end change over those guests who "go through" your website into clients. What many site proprietors don't understand is the measure of potential this platform has in helping you to set up an association with your audience, an association more profound than the one you can make on social media. A ton of diversions exist on social media. It's simply you and your per user with regards to their inbox. It allows you to keep in contact, send customized emails and advancements, and maybe even select content. Ensure you likewise look at our post on the best email marketing service suppliers. There are a great deal of routes you to out what issues individuals from your specialty are having, yet in the event that you have an audience on your website, for what reason not simply go to them? Ask them what their greatest battles are, and discover what sorts of content they're occupied with. There are a couple of various ways you can do this. You can utilize the forces of email marketing to send a communicate email asking each one of your per users what their greatest battles are. You can even add that same email to the autoresponder arrangement you use for new subscribers. You can likewise utilize extraordinary contact form on your website per users can use to make inquiries like an antiquated guidance section in a daily paper. This is likely a standout amongst the most clear approaches to build the measure of correspondence you have with your audience. In spite of the presence of trolls and negative naysayers, it's as yet an extraordinary approach to give your audience their very own voice, which tells them you think about their info. You additionally become more acquainted with additional about them by tuning in to their perspectives on specific subjects, and yes, you'll get feedback. Ideally, its greater part will be productive and will enable you to enhance your content marketing amusement. 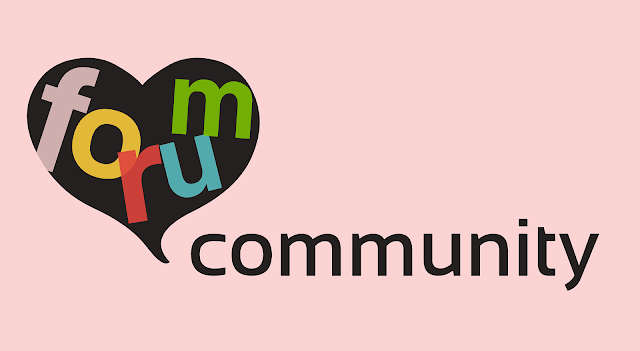 Forums aren't exceptionally popular, and in light of current circumstances, as well. 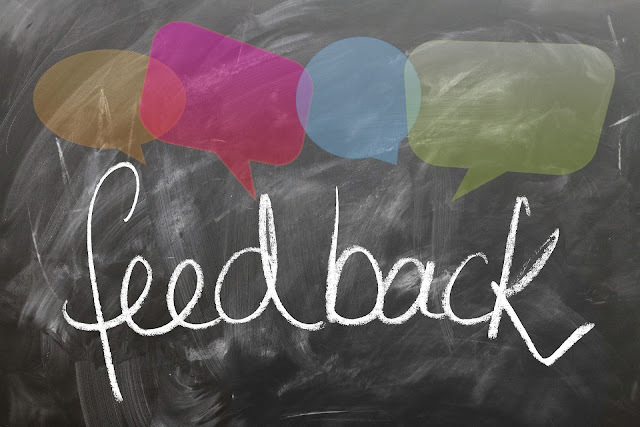 It's another module you have to add to your website, and it's another form of feedback from your audience you have to direct. Besides, you have your email rundown to use for announcements and a comment framework to use for feedback. Why try executing this on your site? In the event that you have a dynamic community who reacts to each blog entry you distribute, each email you convey, each tweet you send and each Facebook post you distribute, you might need to consider gathering this vocal yet isolated community into one zone where they can draw in and talk with each other about different themes. They may even help each other out instead of sitting tight for you to answer to an email or distribute a post around an issue they've communicated to you. Having this level of community available to you can even put you in front of your rivals as far as brand mindfulness. Besides, you may take in more about the battles your audience is confronting. RSS feeds are certainly less popular because of the ascent of social media and the fall of Google Reader, yet they give a superb approach to you to offer your content to perusers who wouldn't visit your blog alone and don't wish to join your email list right now. Many individuals utilize RSS feeds to stay aware of the sites they take after. They even utilize exceptional instruments, for example, Feedly. All websites have RSS feeds. In the event that you have lovely permalinks empowered, you can see your RSS channel by exploring to "example.com/encourage/rss". 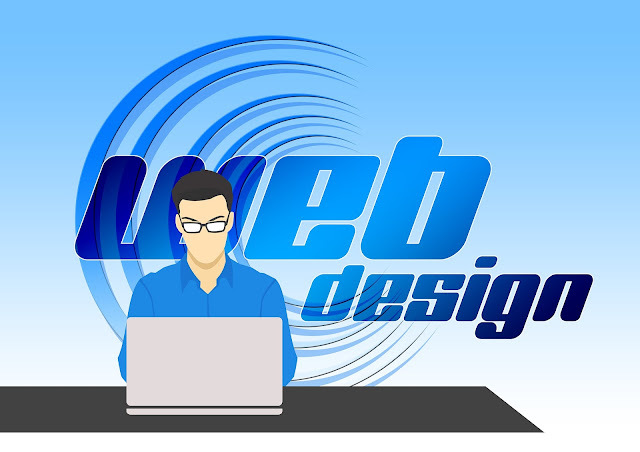 Web design assumes a critical part in how successful you are in speaking with your audience. In the event that a blog entry has a "welcome bar" publicizing your most recent digital book, a sidebar that prescribes different posts and in addition an unsavory pop-up asking per users to subscribe to your email list, your per users may progress toward becoming overpowered and befuddled about what they ought to do given the measure of activities you're asking them to go up against a solitary page. One answer for this is to execute a moderate web design on your website. It includes cleaning up your site by expelling diversions. On a WordPress site, these diversions may include that same hi bar, pop-ups, sidebars, sliders, movements, related posts gadgets and then some. Reducing these pointless components, particularly on your landing page, will tell clients what you need from them. Sunny Chawla is a Marketing Manager at AIS Technolabs– a Web-design and Development Company. Helping global businesses with unique and engaging tools for their business. He would love to share thoughts on wordpress website development ,web design and mobile app development. One of the coolest games built with web technology; Sinuous packs sleek graphics, fluid frame rates, and an engaging gameplay. All you have to do is avoid collision with the red dots that are present in the game. Some dots however, give you power-ups, so make sure to grab those. For some additional points, move around as much as possible and steer clear of as many red dots as possible. Who doesn’t love a well-crafted puzzle game? Entanglement was crafted with HTML5 and it has players create lengthy paths through the insertion of all kinds of segments on specific grids. With plenty of levels at your disposal, this web tech game features lots of tricky levels you’ll surely appreciate. Compete with friends and fight for the highest score. Last but not least, relish the background music sounds as they’re quite enthralling. 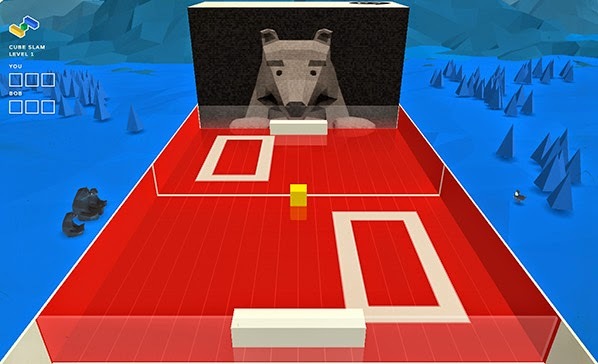 Superbly colored and beautifully crafted, Cube Slam is a 3D arcade classic. Built in HTML5, players must defeat Bob, and they have 3 lives to do it. First few levels are easy, but as you advance you’ll see how Cube Slam becomes increasingly more challenging. 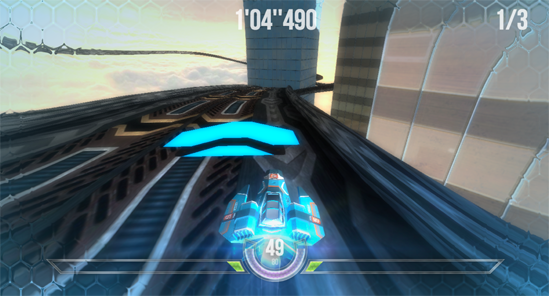 The web tech game has a multiplayer mode too; this allows players to ask friends to join in. Fight with all your powers and make your way through the infinite pits of the Underworld. In this 2D action-adventure platformer, you play Iola who navigates a wealth of Ancient Greek regions in the hopes of getting out of the Underworld and becoming a person with a normal life once again. Featuring the most fluid animations and lush graphics, Olympia Rising is a 16-bit styled web game where players must slash, jump, climb and blast their way to move onto the next stage. RIP to Windows XP! 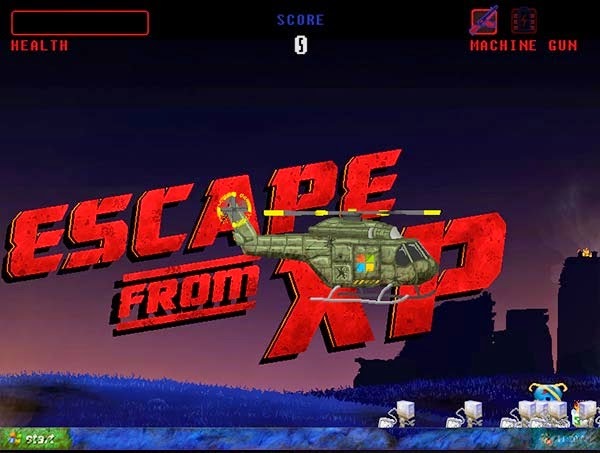 Whether you loved or hated XP, this action arcade game made with HTML5 will definitely draw your attention. Basically, it celebrates the death of the famous operating system, and surprisingly it’s quite engaging. Players are in charge of saving XP’s last developer, who’s somewhere trapped and can’t get out. A must-play for all XP fans! This is the guest post by Fredrick Cameron and Make Up Games 365! Every Wordpress website owner continuously strives to improve the website's efficiency and productivity to achieve the best possible results. Typically, we set off on a plugin installing spree when we start to feel our website needs some extra dose of functionality to boast. We start to look for the list of best plugins for either SEO, social media, for custom widgets, having a more personalized menu, playing around with the website's style and so on. So far so good, but it is no hidden fact that too many plugins only end up bloating our websites and severely affect their performance in terms of multiple areas. This is where the small code snippets come in handy. Wordpress, for being as user friendly as it is, lets you edit the core files of your themes with utmost ease. There are several such snippets already doing the rounds. And in this post, I will introduce you to some that can really let you refine your website thoroughly. The login screens are unarguably the most ignored aspects of any websites, particularly in terms of styling. We go to great lengths to make sure no one unauthorized gets their way around them, but we hardly pay attention to make this page interesting for our viewing pleasure, or for making it very relevant to our brands, especially in scenarios where we have a number of authors and editors on our website. Contact forms have indispensable importance building a loyal list of followers is on your agenda. When you have more users signing up and creating their profiles on your website, you are actually enlisting more and more potential buyers. All you got to do from hereon is give the methods personalized name and labels. There is already a truckload of literature dedicated to the importance of the Wordpress widgets. They way let you add more versatility to your website is unparallel and thus, making enough room for them to snug in is of very high significance. while there is no doubt over the fact that we should continually update our Wordpress theme and all the plugins, but there is a flip side to it. Many times, updates lead to certain uninvited errors ad put our website in a fix. 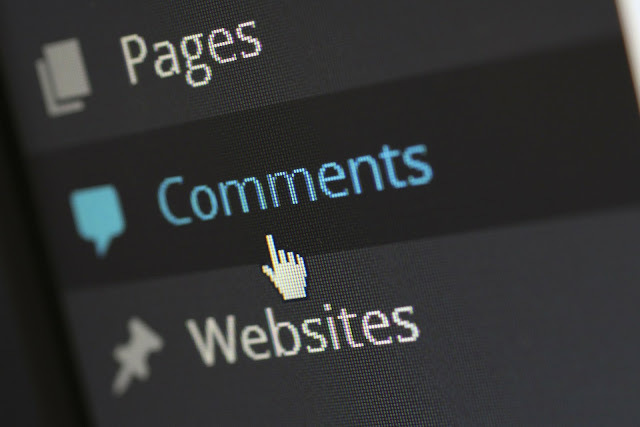 These 10 snippets cover a host of facets and functions you can add to your Wordpress website. Do let us know if you find these useful for your website. About the Author: Amanda Cline is a dedicated PHP developer for hire & she is currently serving as a senior most developer with Xicom Technologies Ltd. You can hire her for successful execution of varied web development projects, both simple as well as complex ones. Get in touch with her via Twitter or Google+. The absolute hard work and extensive brainstorming results in high end products upon which we are so dependent. To ensure the ultimate user experience, its imperative to integrate latest design aspects and stand up to the current market demands. Whether one is designing an app or a website, there are several different key factors that need to be considered and dealt with utmost proficiency for sure-fire results. Hence, if we will observe the complete workflow that has to be accomplished in delivering a worthy product, the designers and developers really need to make special efforts. Precisely, it can be said that from designing to deployment of an app, an app or website development is not a job of a day; rather it involves numerous days and night efforts. However, with the advent of high quality, proficient design and development tools, expert's job have become more convenient. And thus, it is essential for them to stay updated with the newfangled tools available out there. Here in the below list I have jotted a few of the latest tools that are highly highly admired by designers and developers. Creativity or innovative thoughts are the finest form of entropy, it often hits mind when it is least expected. It just happens and you can get creative at any time. 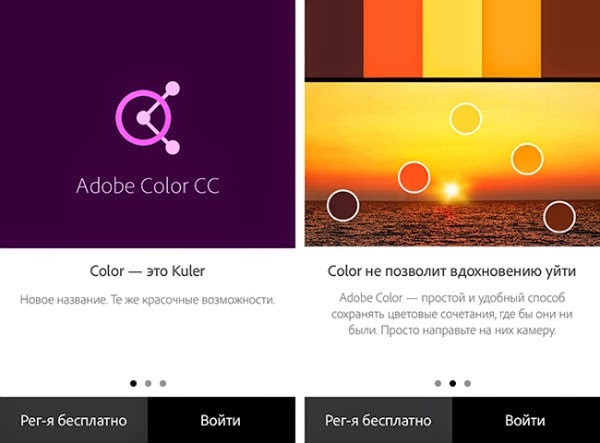 This handy tool is a beautiful creation of Adobe is focused to help designers create colorful themes as and when an innovative idea knock their doors. It offers an overwhelming list of features to help designers with their job. 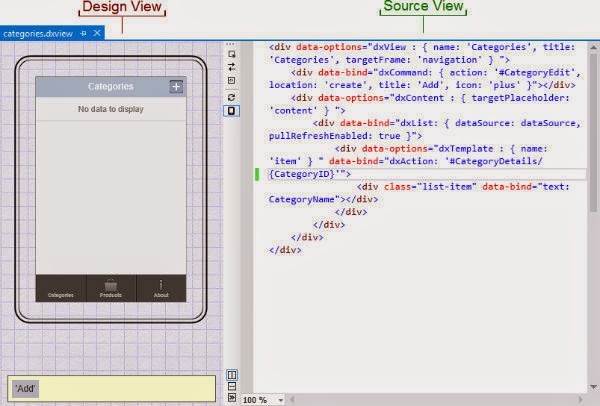 Grid view is quite significant for app and web designs. This tool offers designers the freedom of designing a preferred grid layout. 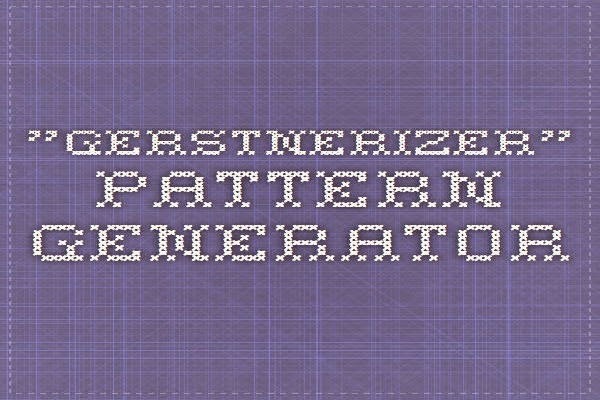 You may create grids as simple square, triangles or complex appearing hexagons, and define desirable spacing. For creating a grid, you just need to join the available dots. 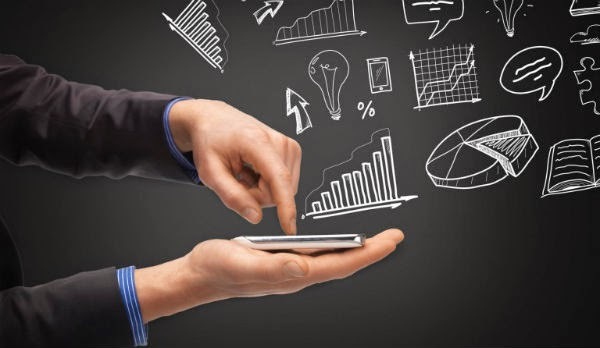 No matter what kind of application you are developing, for optimizing an application, you will always need an analytic tool or other the task will be quite daunting. You can efficiently measure, comprehend and optimize your app UX with this advanced mobile tool. This tool works perfectly with both popular platforms iOS and Android. It offers fabulous features that help developers improve conversion rates, profits with enhanced user engagement in-app monetization and more. Unlike traditional tools that provides numerical data, this tool basically allows developers to review their from user's perspective and visually determine how their users are actually interacting with their app. Thus, it will offer a complete picture of your app. To ensure that your used font will work smoothly on all your targeted platforms, you can use Font Family Reunion. With this tool, you will get a table that represents which local font will work on the major platforms. Moreover, you can type a particular font name and determine whether that font is aliased, supported or available in the targeted platform. Google not only offers utile and high-tech products and services to the users, but also offers a great contribution to the development of quality apps and websites. 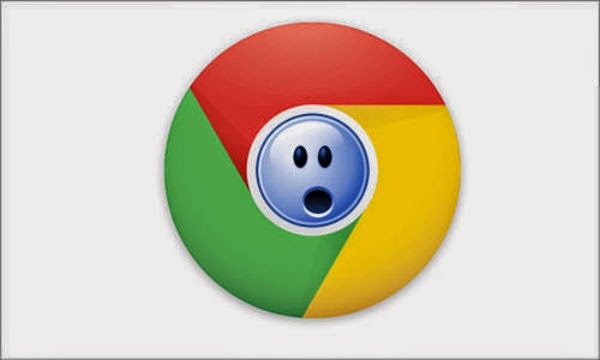 Google Chrome is popular among mass as a browser only, but in deed, it facilitates developer's job with its resourceful features. This tool not only includes set of several proficient tools, but also helps developers by offering them beneficial tips and tricks to efficiently perform development. Its posts and other offerings are updated every to ensure increased productivity and efficiency to developers with the latest approaches. Images are absolute visual elements that enhances the complete look and feel of the website. Textual content with relevant images help generate incredible user experience (UX) and enhance user engagement. Therefore, it is quite imperative to ensure a high quality image. 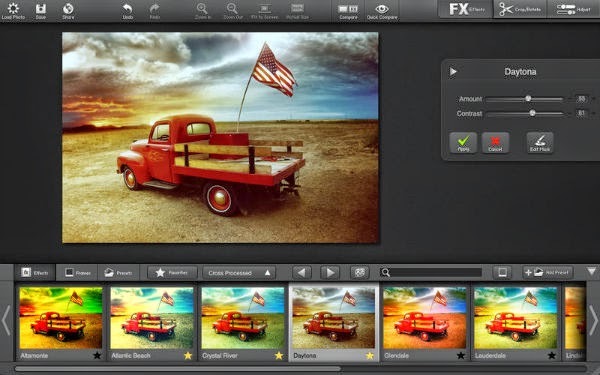 This free app offers incredible features that help one efficiently edit and improve image quality. It facilitates a plethora of filters, fabulous effects and a blend of amazing sub features that help create professional images. Hence, this powerful app will always be a great choice for designers and developers. These are the top-of-the-funnel tools that can augment the efficiency and productivity of developers and designers. You can bet on any of the aforementioned tools, they are curated to deliver sure-fire results. Use these tools and complete your project with utmost precision and absolute performance. Author Bio: Jason Roiz is qualified web development professional who brings to the table a quantum of knowledge around software development services. He meets expectations for OSSMedia, a CMS development company giving proficient Magento, Drupal, Joomla and WordPress improvement administrations.